Rosy Posy Yamanashi Nouveau !! This is a fresh white wine made in the Katsunuma region of Yamanashi Prefecture. It is called "Yamanashi nouveau". The fruity flavor in that wine was strong. So I think this wine goes very well with Japanese food. 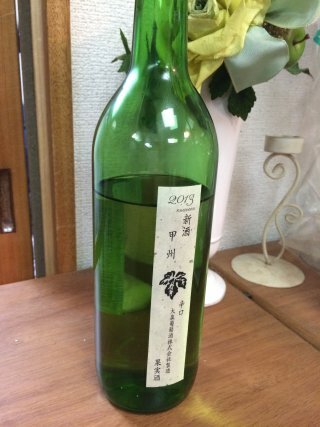 There are many regional wines in Yamanashi. and many people appreciates these wines!